A morning visit that gave a first-hand view of a fine example of Italian excellence and efficiency. 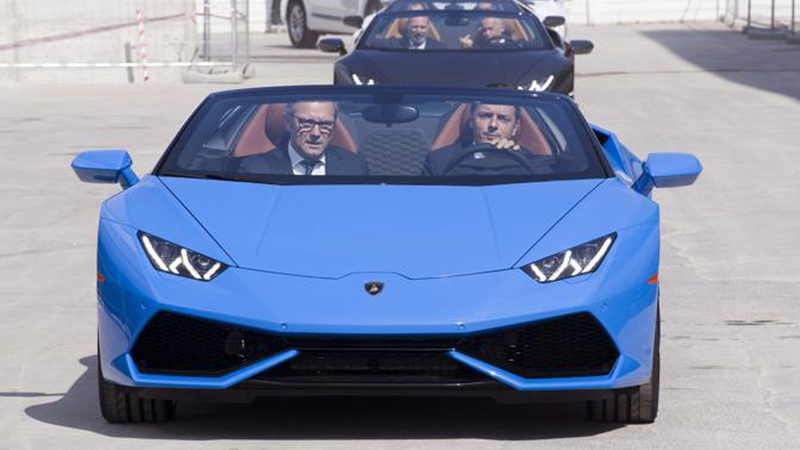 Yesterday PM Matteo Renzi joined Emilia Romagna President Stefano Bonaccini and Earthquake Construction Commissar Vasco Errani on a visit to the works under way to extend the Lamborghini plant. 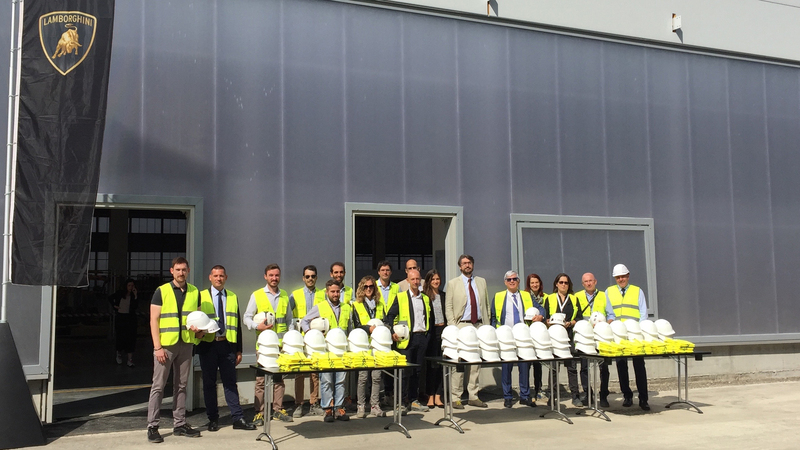 He was welcomed by the entire management of the Sant’Agata plant and the Archilinea and Prospazio staff, who have already been directing the works on a daily basis for several months. The Prime Minister gave the professionals working on site his sincere, personal good wishes for a successful conclusion to the project. During the visit, Mr Renzi was briefed on the company’s various renewal plans: a transformation project of immense scope, which has created one of the largest construction sites currently in operation in Italy.